Fall ball continues as the Tigers of Grambling State have scrimmages planned working on drills in each day’s practice. The Tigers coaching staff has brought in a top recruiting class and Grambling brings back some experienced ballplayers from last year who will have the ability to take the next step up the ladder. Ryan Huntington – LHP who was also used as a hybrid guy and had some starts. Ryan Evans – RHP can be one of the best closers in the conference this year. Kerry Boykins – RHP who was a true freshmen and saw a lot of action and now has a year under his belt which will help him this upcoming year. Kaelin Woodard – RHP who is a junior now, will make the jump to becoming a solid contributor for the staff this year. These pitchers should make Grambling one of the better pitching staffs in the SWAC. Grambling added some good high school position players to the roster this year who have a chance to contribute early as freshmen. Warren Laster – an All-District/All–State outfielder from Manvel HS inHouston, Texas. Chrystian Mervilus – shortstop from the number one high school team in the country this past year, Riverdale Baptist in Maryland where he was an impact player for them. These two have the ability to be special kids in the program. Head coach James Cooper, in his 10th season at the helm of Tigers baseball, has always done well with recruiting JUCO transfers and high schoolers and that’s not going to change this year. He has brought in some transfers who will make an impact early. Bryan Delgado – LHP from ASA College in New York was one of their weekend guys, excited about what he will bring to the staff this year. Jason Alvarez – RHP another kid from New York, he helped led Monroe College to its first College JUCO World Series in school history. He’s a guy who can be used in many different ways and will provide a power arm presence to the staff. 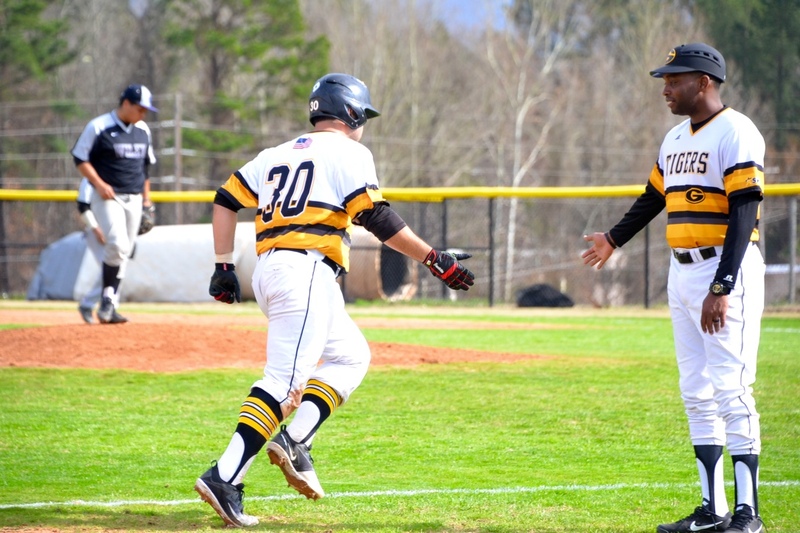 Jean Carlos Bonilla – RHP at 6’4 230 pound from Lackawanna CC who was a starter there and has tremendous upside and potential to do special things at Grambling. Jamary Mckinney from Chicago St. who sat out last year due to NCAA rules, but expect him to be ready to contribute to the pitching staff. Jahmoi Percival – a left-handed hitting infielder who is athletic and should be an offensive weapon at the plate. Kevin Whitaker – who was an all-conference utility player at Laney CC in California. Another athletic infielder who runs well and will be good offensively. He also is a RHP and will contribute on the mound as well. Michael Sookdeo – an infield transfer from McCook CC big physical kid who will be another offensive weapon this upcoming season. Jalin McMillan is another transfer (from the University of Illinois) who sat out last year. Grambling is extremely excited about him and what he can bring at 6’2 195 and he’s a solid athlete. Tiger’s have high expectations for him. Grambling lost arguably the best player in the SWAC last year in Marshawn Taylor who was drafted by the Arizona Diamondbacks in this past June MLB draft. But they bring back some guys who will be huge for their success this upcoming 2019 season. Rafael Ramirez – a .353 batting average with 16 home runs and 66 runs batted in his sophomore season. He was also second team all-conference and is definitely a player of the year candidate. Isaiah Torres – the first team All-Conference SWAC outfielder is a .325 hitter. Richard Ortiz – Catcher/DH who was also first team All-Conference with 47 runs batted in and 10 home runs. Ace Felder – he hit .345 last year and will be roaming centerfield and his defense and speed makes him a threat offensively and defensively. He made the SWAC 2018 all-tournament team. Drexler Macaay – a catcher who took over behind the plate the second half of the season and gave Grambling much needed energy during this past 2018 season all the way to the title game. He hit .325 last season. Garret Smith – who was an everyday second baseman. These guys are more than capable of picking up the slack and getting this year’s team back to the conference title game. The Tigers have a lot of competition this fall. Guy’s are performing well and making this year better by the way they compete every day in practice and it has energized the team. With experience, they are eager to get back to working and put forth the time and effort to get back to the SWAC Championship and to finish the job this time around. With scheduled fall ball games against Louisiana Tech and Arkansas Baptist, a JUCO team. Grambling hopes to find out which guys are going to rise to the top of the depth charts.